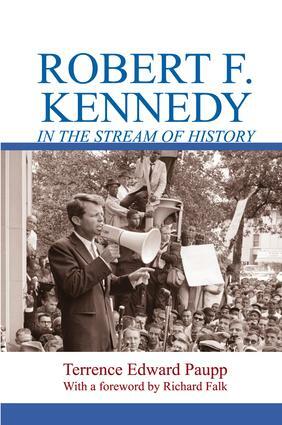 This assessment of the statesmanship, principles, and policies of Robert F. Kennedy places him "in the stream of history," to assess what came before his time in political life, what happened during that time, and what happened to his legacy after his assassination. Terrence Edward Paupp evaluates the themes and issues RFK confronted, responded to, and for which he provided visionary solutions. Paupp first chronicles the influence of Franklin D. Roosevelt's legacy as a prologue to the New Frontier and Great Society. During Robert F. Kennedy's time in power-both in his brother's administration and on his own in the US Senate-he struggled with striking a balance between power and purpose. In the years after John F. Kennedy's assassination, RFK emphasized the need to unite power and purpose, national and international concerns, ideals and practice. Much of this has been ignored, Paupp argues, by what C. Wright Mills called "the power elite." In assessing RFK's statesmanship, Paupp examines his commitments to human and civil rights, which linked themes and ideals within the US to those struggles taking place outside the country. Robert F. Kennedy brought zeal and passion to these problems by discussing the moral necessity of honouring human dignity while articulating practical solutions, policies, and programs to structural injustice. His legacy remains a beacon of light, intelligence, and hope in today's world.